It’s college application season. Are you feeling the panic set in? Take a deep breath, grab some coffee, and keep these 9 tips close at hand! Give your family a heads up that you’ve started a new job. Being guidance counselor is not for the faint of heart. Expect it to take weeks of full time days. Go to the library, hide in your room, hire a babysitter for the month. Stock up on your favorite java and chocolate. And start yoga. Become familiar with the Common Application, Universal Application, Coalition Application, and/or individual school application portals. Know what they need, when they need it, and in what form they request it. 3. Know What You Need to Accomplish. 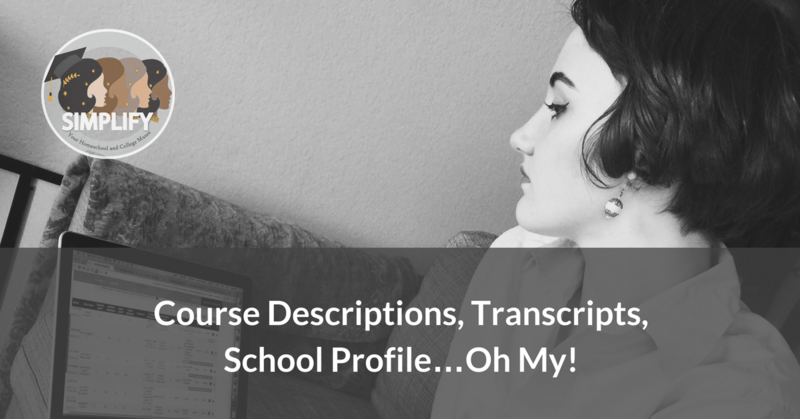 The school profile, transcript, course descriptions, and–gulp–the guidance counselor letter. Make sure they work together, representing your child in a professional, holistic and authentic way. 4. Know What Each School Wants. Create a spreadsheet. Make a planner. Note test scores, homeschool-specific to-do’s, requirements by major. Be flexible. If you think certain schools could use a personalized guidance counselor letter, write it! Represent your homeschool as a quality instituition. Make it clear that you are qualified and that your homeschool has prepared your student well. Have others proofread your work. Be meticulous about grammar, usage and mechanics. Plug them into your phone or Google calendar or stick post-it notes on the bathroom mirror. If the thought of all of this paralyzed you until the last moment, your workload will coincide with the stresses of essay writing and supplement writing and interviews and…. 7. Communicate With Your Child. Nicely, if you can. Make sure they understand their roles and deadlines. Make sure they understand yours. If necessary, take out baby photos of child in mention to recapture that parental nostalgia. 8. Make It Look Good. If you don’t have a design bent and your computer savvy kid isn’t willing to do it for you, outsource your materials to Simplify! This process can be overwhelming in the most wonderful of ways. As educator and parent, you have the opportunity–no, the honor!–to highlight your child in a way that no ordinary counselor can do. Relish that and reflect on that. Then give yourself a huge pat on the back for a job well done. Looking for more support? If so join our Facebook group College Confident Homeschoolers where we discuss everything related to homeschooling the high school years.